Why UW-Eau Claire – Barron County? On July 1, 2018, the University of Wisconsin-Barron County officially became a branch campus of UW-Eau Claire. 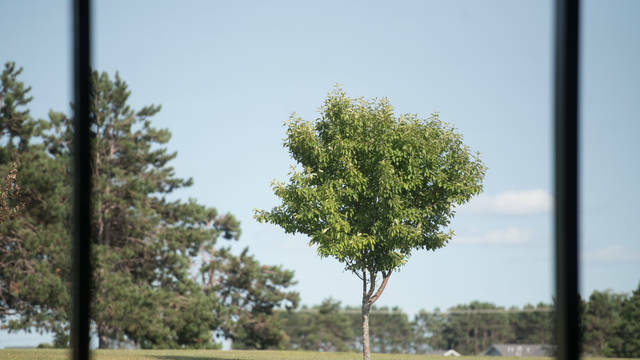 The Barron County campus also officially assumed a new name, the University of Wisconsin-Eau Claire – Barron County, as it aligned with UW-Eau Claire as part of a UW System-wide restructuring of all the former UW Colleges. What this means for current and future students at UW-Eau Claire – Barron County is a continuation of everything great about our campus AND the benefits of new and growing connections to the UW-Eau Claire campus faculty, services and facilities. But some things will not change. . . This campus will remain committed to providing a quality liberal arts general education that is accessible, affordable and prepares students from all walks of life for academic success, lifelong learning, leadership, service and responsible citizenship. Top 10 Reasons why you should choose UW-Eau Claire – Barron County. Learn what scholarships we have available to students like you! 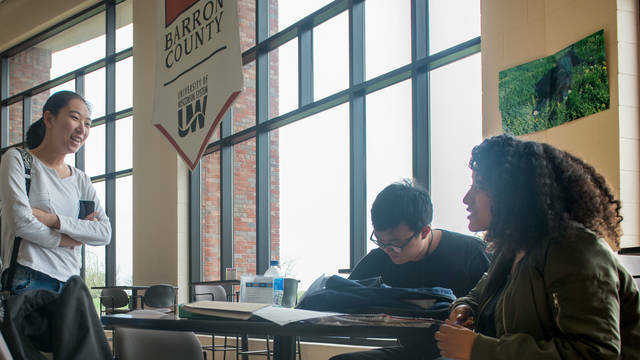 Located in the community of Rice Lake, UW-Eau Claire – Barron County offers foundational courses that support more than 200 careers. When you pursue your degree at UW-Eau Claire – Barron County, you can expect to be a part of a family. I was surprised by how quickly the administrative staff got to know me – it felt like I mattered and that my goals were important. The genuine care that faculty and staff show students is invaluable and makes the UW-Eau Claire – Barron County experience special. Is UW-Eau Claire – Barron County for you? July 1 marks the first day of the union of UW-Barron County and UW-Eau Claire, and Chancellor James Schmidt shares his excitement about the bold new future for UW-Eau Claire – Barron County. 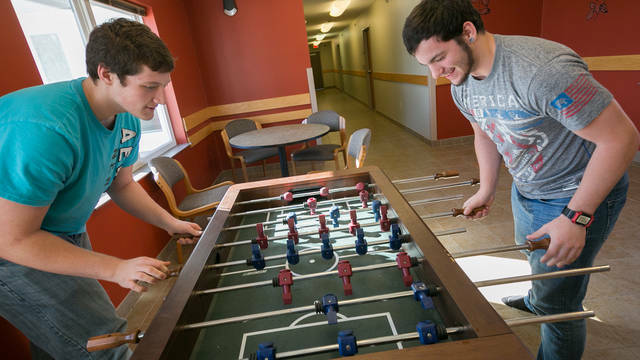 Take a look at some key aspects of student life at UW-Eau Claire – Barron County. From campus housing to recreation and the arts, we have a vibrant campus life experience waiting for you here. UW-Eau Claire – Barron County is both a practical and affordable option for college. Whether you start here and finish a bachelor's elsewhere, or you intend to seek an associates, affordability is a key factor for many. See our tuition and fees. See what events are coming up at UW-Eau Claire – Barron County.